The always cautious jaguar. A couple of cougars. Trigrillos, peccaries, deer, capybaras or a tapir … At least 25 species of mammals use the biological corridor or strip of forest that joins the Panama Canal basin, to the west, with the natural reserves of Chagres and Portobelo, in the East of the country. The forested section, also called “jaguar corridor”, has been studied since 2014 and more intensely since 2017 by scientists from the Mastozoological Society of Panama (Somaspa) with the goal of knowing the species that roam the area, especially mammals, and the functionality of the biological corridor. 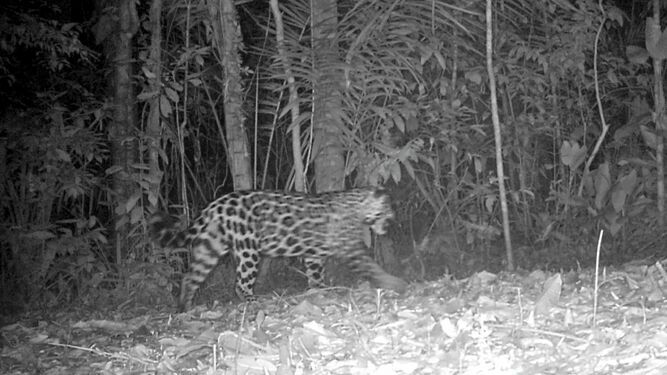 Using motion-sensitive cameras distributed in about 80 square kilometers of the wild “road” between Santa Rita and Sierra Llorona, Colón (see map), the passage of several specimens of five of the six wild felines in Panama was recorded: tigrillo , yaguarundi, ocelot, puma and jaguar. Images such as raccoons, armadillos, zarigüellas, deer, capybaras, ñeques, painted rabbits, peccaries, mountain dogs or the tapir were also photographed. Some of them in large quantities, highlights the biologist Rafael Samudio, director of Somaspa and leader of the pioneering project. The time that the study has been developing allows Samudio to be certain that despite human pressures (hunting, roads, settlements, agricultural or livestock projects, among others) animals use the biological corridor to migrate, disperse or reside. 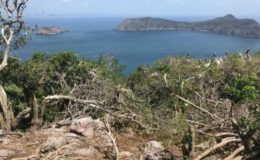 In addition to the biologists Rafael Samudio and Julieta Carrión, the study of the biological corridor of Colón de Somaspa included the participation of scientists Jorge Pino and Eric Donoso. Students Eduardo Durán, Yasser Jamdan, Enelys Espinosa and Sandra De León also collaborated on the project. “Most species of mammals are present throughout the biological corridor. The number of species and the identity of the species of the corridor are very similar to those that Somaspa has found in his studies with camera traps in the Chagres National Park . These results suggest that the Colón biological corridor contains a high and relatively complete diversity of wild mammals, and that potentially the corridor has the ecological conditions that would facilitate the movement of wildlife among the protected areas of this region of the Canal watershed. of Panama “, expands the biologist. As it is about land or private reserves, the segment covered and studied by the biologists of Somaspa does not have the protection of national parks. The residents of the farms in the field of study have been collaborators and are aware of the value of the forest communication channel that passes through their properties, but there will always be a risk that human pressure will increase and affect the dynamics of the animals, analyze the biologist Julieta Carrión, also a member of Somaspa. “The jaguar corridor is an important ‘pneumonia’, it deserves to be preserved,” reinforces Samudio. 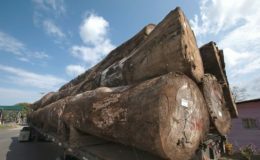 Therefore, with the results of the study and other similar, indicate the biologists, recommendations will be presented to the authorities to preserve this forest channel. Somaspa’s research was financed by the National Secretariat of Science, Technology and Innovation and the plan is to expand the study area in 2020 to the vicinity of the Panama Canal watershed.